Ever wondered about the history of the Coptic Church? 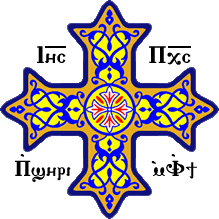 We would like to take this opportunity to serve as a resource to help you gain a better understanding of where the Coptic Orthodox Church started, our rich history, and believes. Our Coptic Orthodox Church is both ancient and new. Ancient in that it is apostolic, founded by St. Mark the Evangelist traditionally practicing the apostolic faith without deviation. The church is new through the living Messiah whose Spirit renews her youth (Ps. 103:5).